"Two sizeable ships"... time for completely uninformed speculation!!!!!!!! That spoiler really doesn't amount to much, given the timeframe in question. Agreed. It was hidden mostly to protect anyone who likes to speculate w/o having anything truly spoiled on the very off chance what the poster said was true. If it is true one has to appreciate the poetry in what may be the final expansions for the GCW era, during the catch up period at least, being from the battle of Jakku. True, however the devs are forced to operate in a somewhat more mainstream universe than the gamers. It would surprise you how many players exist in certain isolation from the tournament and community scene; the devs have to pander to them to a certain extent by releasing stuff they're going to have seen (read *noticed* ie not the Bra'atok) in the films and Rebels. The casual player/SW fan is never going to have heard of what a Bra'atok or a Starhawk or a Dreadnought even is. I'd love them to release them anyway, but sadly FFG need to think of sales too. That’s a complete load of rubbish. You have to be a community/tournament player to have any knowledge of things that happen on screen? Please. I’m a very casual player. I check the forums sometimes, post rarely. I’ve never been to a competition/tournament. I play mostly with my partner (and we haven’t played Armada in nearly a year). We both have an extensive knowledge of Star Wars and various other gaming universes due to our interest in them and ability to look into things. That has nothing to do with community or tournaments, so I don’t believe there is a “pandering” involved. Besides; the Assault Frigate, Gladiator, MC30c and Raider also don’t appear much or at all on screen or canonically. But we have them? Only for the sake of the argument: The Corvus was a Raider and played a major role in the story in Battlefront 2, which is apparently considered canon. There were storyboards (and even some shots) about the MC30s attacking the SSD, and even the model was built, so it can be considered canon. Exactly, hence why I said don’t appear much or at all. But many of us still know the designs. What I was contesting, was that casual players were hinted at not having a clue about anything that isn’t in the main films. But anyway, back to the matter at hand: I don’t believe the SSD constitutes one of the ships mentioned. I think that (like epic ships on X-Wing), the SSD will be it’s atand alone wave. So fingers crossed for two new ships for Imperials and Rebels. Battlefront 2 came out later then that we already had the Raider in Armada so that appearance doesn't really count towards how known it was when released. so it can be considered canon. That's not how this works. That's not how any of this works. It is not you or us to determine what is canon an what is not. That power lies 100% with Disney alone. The say this game and these movies and those books are canon and now exactly those things are canon and nothing else. Just because something was planed or because someone said something does not make it canon. Only the things that happen and appear in the media that is considered canon by Disney are canon. This is a classic example of canonization. Thrawn and Pellaeon were canonized the same way. Soooo, you understood that what you were saying was wrong and yet you still said it? That's some next level smarts. It'll be whatever the fans have most wanted, excluding Clone Wars ships since they're getting faction treatment. I might've missed something but that's what I remember from forum posts. * I don't really think itll be a flotilla, since they said "decent sized"
You were just stating all the evident things my dear Watson. What I was talking about is that since Lucas is gone, there is no such thing as "hard canon" any more, because Disney is cherrypicking what it wants to strengthen and what not. But until something is either verified or clearly refused as being canon, you have to assume whether something is canon or not. MC30s WERE canon before the evil mouse took over. Now, they MAY be canon. I wasn't wrong. Well this is a debate of semantics. I think it is very clear what things are canon and what are not. All the things that ever appear in canon material are canon and everything else is not. It just so happens that the sources are not exhaustive. Meaning it is not clear whether some things exist in the star wars universe but they are not canon until they appear in some canon piece of media. The difference here is that the existence of a thing in the star wars universe would be measured in in-universe time, while the canoninity (?) would be measured in real world time. E.g. 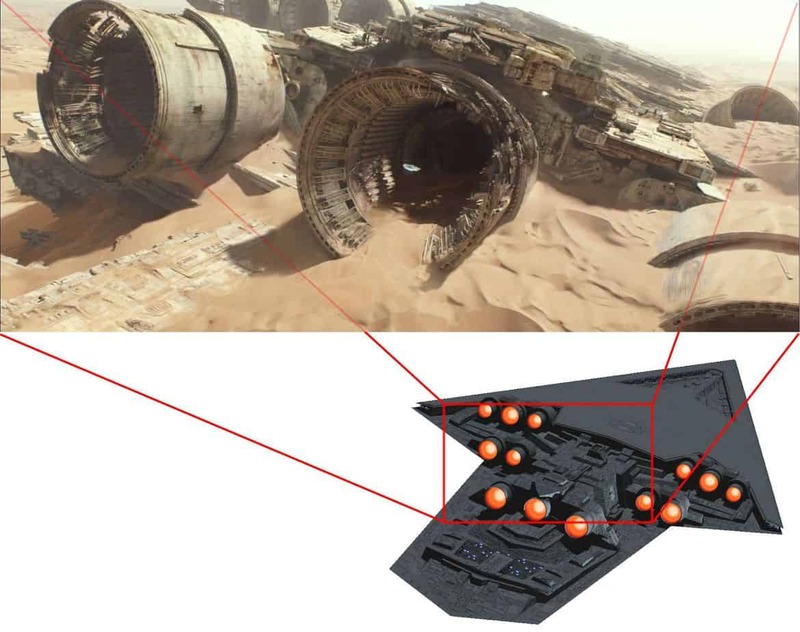 : The T 70 x wing existed in the star wars universe since 5 ABY but it is canon since September 4, 2015. So there is never a debate whether or not something is canon since is only becomes canon once it is first mentioned in a canon peace of media even if it would already have existed in the star wars universe even before whenever its introductory piece of media takes place. I understand that the raider has been canonized afterwards and is considered canon now. That doesn't change that it wasn't canon at the time of release in Armada and that people knowing it from Battlefront 2 was not possible when the raider was released. As the conversation was about people knowing or not about certain ships they might release from other sources from than the movies, the Raider being in Battlefront 2 is still not a good example as it wasn't the case when released so people would not know the ship from it yet. I hope “2 sizeable ships” means 2 large ships; presumably one per faction. 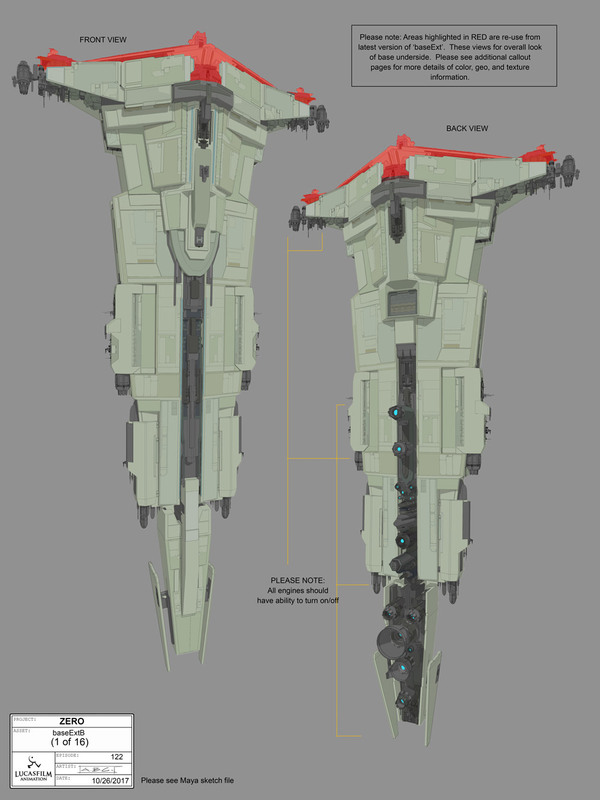 Although, since the Empire is getting the SSD, I suppose it could be considered fair if the Rebels received 2 large ships; or 1 medium and 1 large. The Rebels could certainly use another medium ship, since they only have one. Although, the Rebels don’t really need another large ship because, ironically, the Rebels have more variety of large ships than the Empire. The Empire only has the ISD, whereas the Rebels have the Home One (MC80), Liberty (MC80A), and Profundity (MC75). It would be great if the Empire received a new large ship, but the only ship comparable in size to an ISD is the Tector-class Star Destroyer, which is nearly identical except it lacks the ventral hangar bays. Armada doesn’t need another variant of the ISD! I’d rather FFG make new Tector-class ship cards (perhaps include them in the Rim campaign expansion) instead of a third ISD ship expansion — even if they reworked the model to remove the hangar bays. Returning to the Rebel ships, I think the Star Hawk is the most likely choice because it’s been canonized in the Aftermath trilogy and one took down a SSD in the Battle of Jakku, so it’s the perfect Rebel ship to follow the release of the SSD. The only problem is that there’s never been a canon picture of the Star Hawk. I wonder if the reason FFG has been so secretive about the new ship(s) and it’s been so long between Waves is that the Star Hawk will appear in Episode IX, and FFG is under an NDA preventing them from revealing it. They might have to wait until Ep.IX is released, or at least until the new Star Wars toys are revealed a few months before the movie. I’d also like to see the MC80B Mon Remonda variant. It’s the same length as the MC80 but it’s shaped like a horseshoe crab. The Mon Remonda helped defeat Warlord Zsinj’s SSD, so it’s another fitting choice for a Rebel counter to the SSD. As much as I’d like to see a Star Hawk, finally, I’d rather have the Mon Remonda in Armada because it’ll benefit from the Mon Cal-only ship upgrades. Even though I’m primarily an Empire player, I’d be happy if the Rebels received both the Star Hawk and Mon Remonda large ships.